Ziegler comes from its company name, which established its own carpet production in the Persian town of Arak in the early 1870s. Previously, the British company traded cloth products imported into Persia from the UK. Thanks to the growing demand for oriental rugs, especially Persian rugs, the own production (knotting) of carpets became quickly successful. Due to the high demand carpets were knotted more and more in divided processes in order to reach the final product faster. Soon further locations were opened in Rascht and Tabriz , among others.The choice of locations was mainly made for logistical reasons. Not only the knotters had to be on site, but also the wool and the end product had to be transported quickly. Over time Ziegler carpets broke away from the exact imitation of conventional and traditional Persian carpets. Modern aspects and design directions were increasingly taken up. For example, Ziegler carpets are often treated with a stone washing as finish to achieve a washed out effect on the pile. Beige-ivory backgrounds without a central medallion also dominate the Ziegler carpets, as there was particularly high demand for these colours. Even if these carpets do not reach the particularly high quality of Persian carpets, they are knotted from high-quality natural wool by hand. Thus, they easily withstand the stresses of everyday life for decades and are an affordable alternative to traditional Persian carpets. 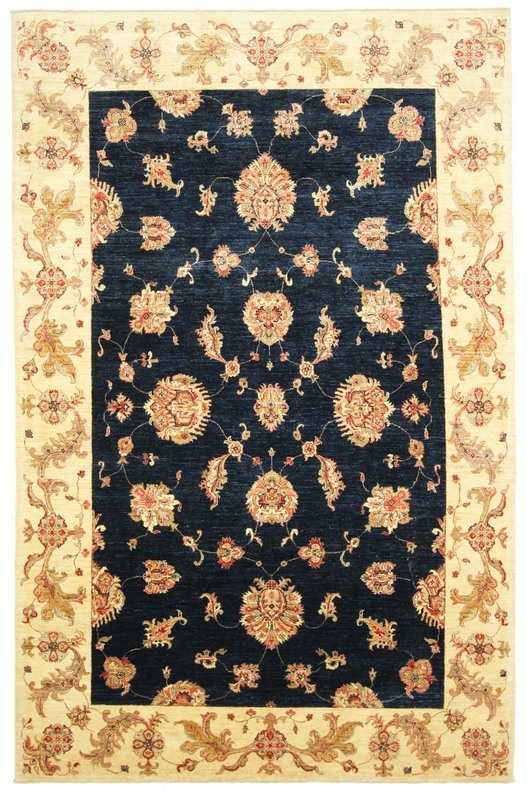 Examples provided from a selection of over1,900 Ziegler rugs by Nain Trading from the Speicherstadt in Hamburg. Nain Trading has one of the largest ranges of hand-knotted oriental carpets online. Location - where do Ziegler rugs come from? This type of carpet used to be knotted in Iran (Persia). 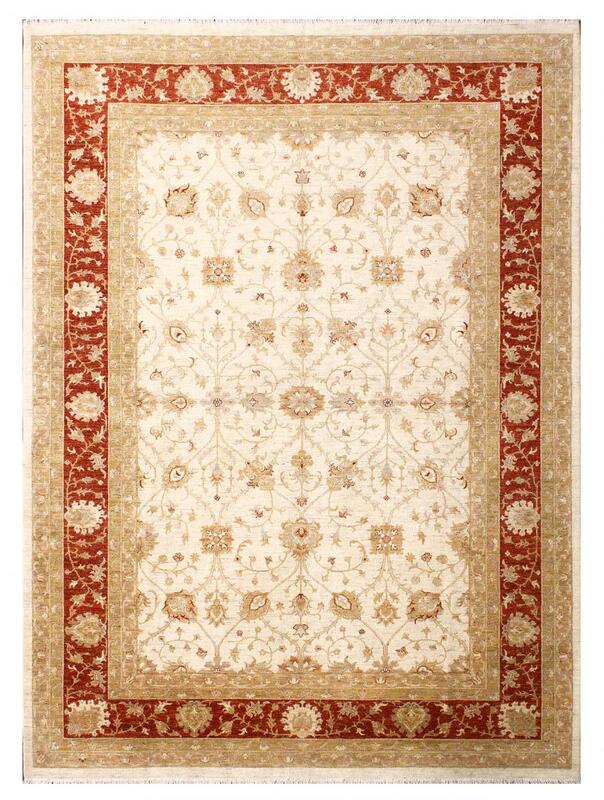 Today Ziegler rugs mainly come from Pakistan or Afghanistan.